A popular event at many pubs is the deceptively named "Steal the Glass" night. There's usually a few beers offered from a featured brewery, and the patron gets to "steal" a special glass, featuring the brewery's logo. Often that glass is a simple shaker pint, other times the glass can be unique or interesting in some way. The fallacy of the promotion is that with few exceptions, the drinker isn’t "stealing" anything, they are actually paying extra for the beer, in order to keep the "free" glass. 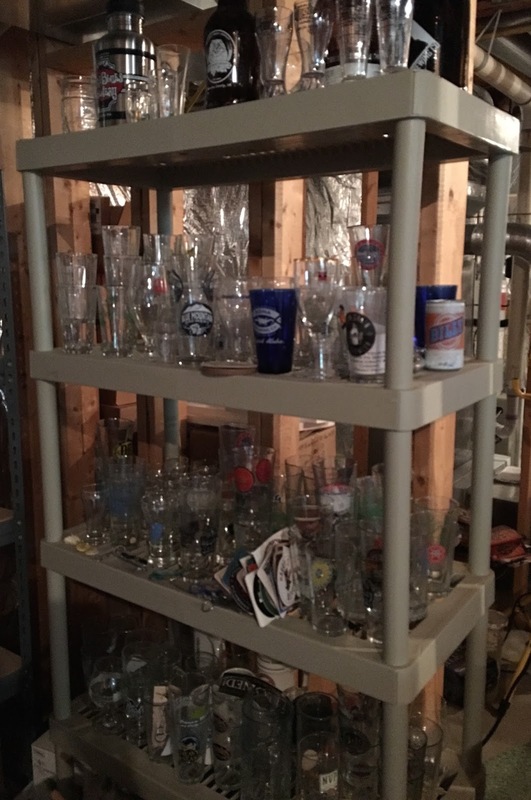 I have dozens of glasses I’ve acquired at Steal the Glass events, but often times I simply don’t want the glass, and I certainly don’t want to pay extra for a glass I don’t need. And therein lies the rub. We went out for dinner at a local pub the other night. I had seen a post on Facebook that the restaurant was "featuring" SweetWater Brewery, and pouring their 420 Pale Ale and SweetWater's 20th Anniversary Imperial Hash IPA. However, when we arrived we learned the beers were part of a "Steal the Glass" promotion. In addition, there were actually no SweetWater Brewery specific glasses being offered. 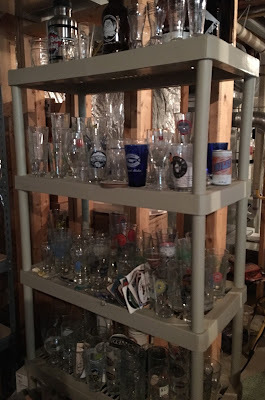 Instead we would pick from leftover glasses from previous events — it was a "garage sale." Wanting to try the Imperial Hash IPA, but not wanting to buy a random piece of glassware not even related to the featured brewery, I inquired if I could get the beer at the regular price and not pay the premium to "steal the glass." As I knew it would be, the answer was in the negative. I knew that because I had asked in the past, with the same answer. I didn't need or want the glass, so I ordered a different beer enjoy. Fortunately, I did have a very tasty Heavy Seas Loose Cannon IPA served from a cask. We end up at this establishment on Wednesdays often, so we happen to hit their "Steal the Glass" nights with some regularity. And indeed, there are often interesting beers being offered. On occasion I even opt to pay to "steal," and take home an interesting glass. However, on more than one occasion we have been refused the featured beer for not wanting to pay extra for a glass. A pub should have glasses in which to serve beer without requiring the patron to buy one. I wonder, could I bring back some purchased glasses and get refills at a discount?